We always thought this is cooperation , not only purchase and manufacture , so only win-win ,it can continue longer . We are here to ensure the best service all the time . 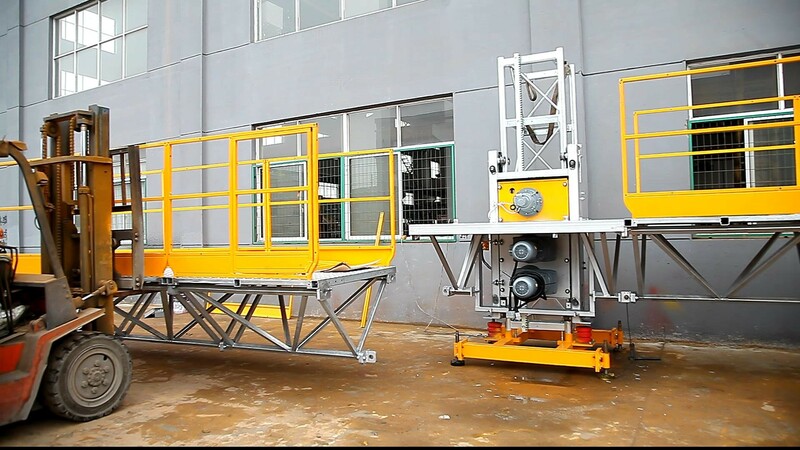 SCP type construction platform/mast climber works with the same driving principle with the building hoist. Its main parts can be interchanged with building hoist such as mast sections,rack, pinion, reducing device and so on. And its width and length can be changed according to request. It is requisite equipment in construction job. Additionally ,it is no need for foundation so that it is easy to change the working site. 6. With hand-operation landing equipment, it can be landed by man when supply power cut off. - High Efficiency, it can replace hanging scaffolding for most high rise building work.save labor and time. - Experienced, the first factory who manufacture pedal suspended platform in china. we have more than ten years experience in this field. - Safety, in past ten years.we never have big accident. Every product have to pass five QC stages before leaving the plant, your comfort is our best effort. Our purpose : Best quality and reasonable price . KETONG wish you have a nice cooperation with us .